The Tama HP900PWN Power Glide Double Bass Drum Pedal is a double bass drum pedal, with a Power Glide LiteSprocket, a Cobra Coil, Oiles Bearing Hinge, and a Swivel Spring Tight. The offset shape of the original Power Glide cam provides TAMA's signature pedal action, which increases the beater's power and speed as it reaches the end of the stroke. 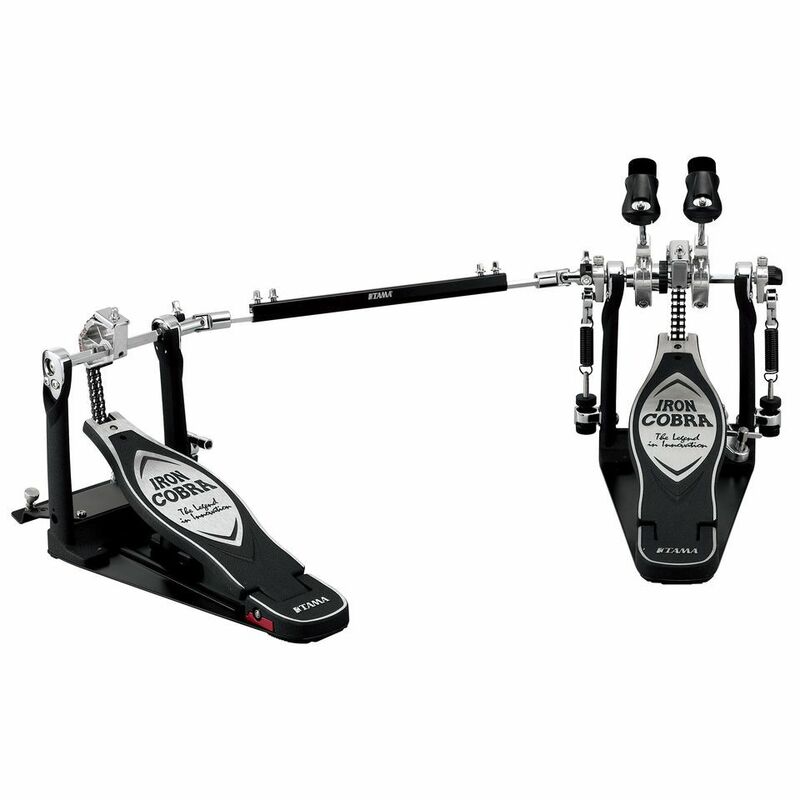 The Cobra Coil has a return spring that constantly presses the footboard to its original position, tightening the relationship between foot and pedal. Even better, the Cobra Coil is adjustable to different positions on the Iron Cobra footboard base plate. A new housing puts less stress on the bearings to make for a much smoother bearing motion. Tama eliminated another source of friction by replacing the traditional nylon rocker cam with the Speedo-Ring, a rocker cam with a high quality built-in ball bearing rocker. The Quick-Hook not only allows for easy setup and tear-down but also streamlines the pedal, allowing quick stowaway in the hard case without removing the beater. To reinforce durability, the Iron Cobra 900 Series features a thicker 6 mm diameter shaft. Oiles bearings create far less friction than standard ball bearings. They also eliminate unwanted side-to-side motion while providing superior durability.